4. Maximum fan speed: 5000±10% RPM; Maximum air volume: 12.6 CFM. invert the PS4 console for installation, and then screw it tight with the accessory nuts). cooling fan; “L” means low speed, and H means high speed. 3. Use the slot on the left to store the PS VR converter and relevant cable. 4. 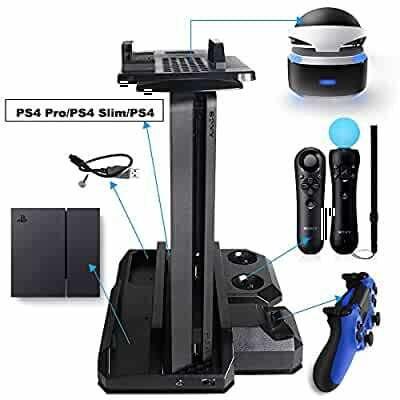 Use the single charger on the right of the stand for charging the PS controller.